Web site engineers do this to protect their site from spam and abuse from bots, while allowing legitimate human use. Why is protection needed? Maybe you have some backend code that's expensive in time and storage and you only want actual users of your web to access it. If you have a web site, you can also use reCAPTCHA to protect its services. And, if you're building your site with Firebase Hosting, it's pretty easy to get it integrated with the help of Cloud Functions for Firebase to provide a secure, scalable backend to verify the completion of the reCAPTCHA. In this blog post, I'll walk you through a few steps that will get you to a very basic integration that you can extend later for your own site. For this walkthrough, I'm assuming you already have some experience with web development, the Firebase console, and the Firebase CLI. Navigate to the Firebase console and create a new project. There's no need to add billing to this project - you can experiment fully without providing a credit card. Once you create the project, there's nothing else you need to do in the console. When running firebase init, be sure to select both hosting and functions. When you're asked to choose a project, select the one you just created earlier. Take the defaults for every other prompt. You'll end up with a directory structure that contains a public folder for web content, and a functions folder for your backend code. Your package.json file should now show those two new modules in addition to firebase-functions and firebase-admin. where your-project is the unique id that was given to your project at the time it was created in the console. If you paste the Hosting URL into your browser, you should see a page that says "Firebase Hosting Setup Complete". reCAPTCHA requires a couple API keys for operation, one for the web client and one for the server API. You can get those from the reCAPTCHA admin panel, so navigate there. Create a new site and give it a name. Select "reCAPTCHA V2". 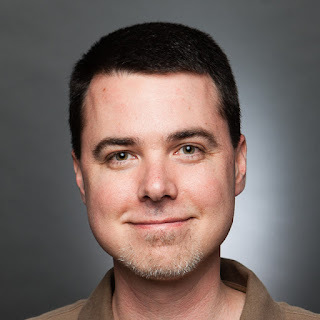 For domains, put the full hostname of your Firebase Hosting site name (e.g. "your-project.firebaseapp.com"). After you register, you'll be given a Site key and a Secret key. The Site key will be used in your frontend HTML, and the Secret key will be used in your backend hosted by Cloud Functions. Notice in the body there is a div with the class "g-recaptcha". The first thing you should do here is copy your reCAPTCHA site key into the div's data-sitekey attribute value. This div will get automatically transformed into a reCAPTCHA UI after the first script at the top is loaded. You can read more about that here in the docs. You can see it right away if you firebase deploy again, then navigate to /recaptcha.html under your Hosting URL. Don't bother dealing with the reCAPTCHA yet, because we still need some backend code to complete the verification! The important thing to note in dataCallback is that it redirects the browser to another URL in the site with the path /checkRecaptcha, and pass it a parameter named response. This response string is generated by reCAPTCHA and looks like a random collection of characters. The path /checkRecaptcha in your web site obviously doesn't exist yet, so we need to create a Cloud Function to validate the response string it's going to receive. The first thing you should do here is paste your reCAPTCHA secret key from the registration site in place of "PASTE_YOUR_SECRET_CODE_HERE". It's important to send a response to the client in all cases, otherwise the function will time out with an error message in the Firebase console log. This makes the function look like it's part of your web site. With Firebase Hosting a Cloud Functions, this can be done! What you've done here is add a new section for rewrites, and you can read more about those in the docs. Specifically what this does is allow access to the URL path /checkRecaptcha invoke the function called checkRecaptcha that you pasted into your functions/index.js file. 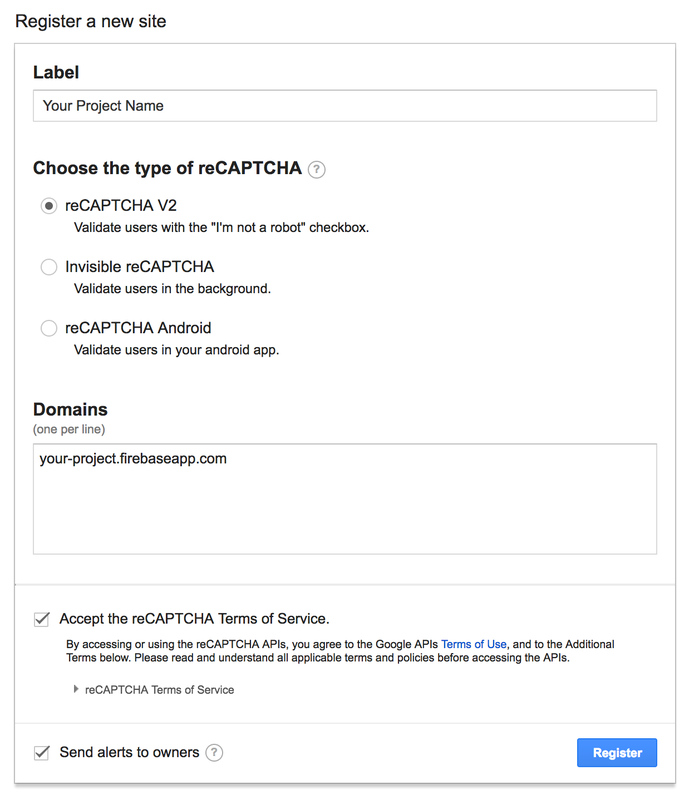 This example of how to use reCAPTCHA with Cloud Functions for Firebase is much more simple than what you'd probably do in your own web site. You have several options for how to send the reCAPTCHA response to your function, and you'd obviously want to provide something more useful than a message to the user. But this should get you started protecting your web content from abuse from bots.